The Kenmore 91382 gas dryer in white introduces a stylish, extra-large 7.3 cubic-foot capacity for large and bulky items. 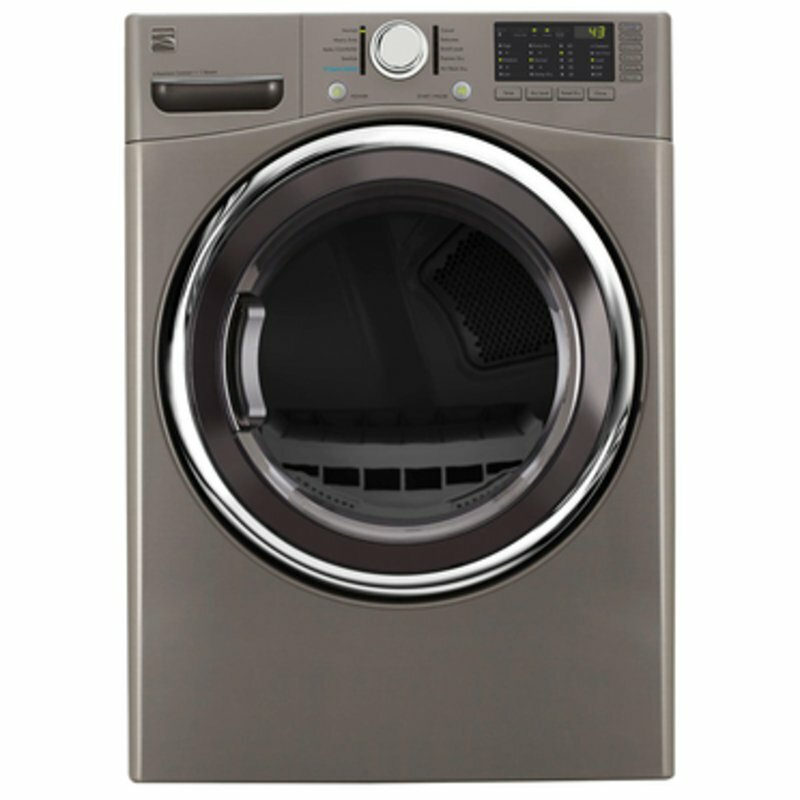 This Kenmore gas dryer uses Sensor Dry technology to protect clothes from over-drying. This dual-sensor system automatically detects the moisture content in clothes to apply the right drying temperature and time. This Kenmore 9138 dryer features the Steam Refresh cycle to reduce odors and relax wrinkles for less ironing and an NSF®-certified sanitize cycle which eliminates 99.9% of certain bacteria. Set up your own customizable cycle setting with the My Cycle feature. This Kenmore dryer also has an Express Dry cycle that can dry a small load in less than 30 minutes, and a Touch-Up option which quickly freshens garments without rewashing.